Two Gaza residents were reportedly killed during the night, victims of toxic gases inside a tunnel from Gaza to Egypt. 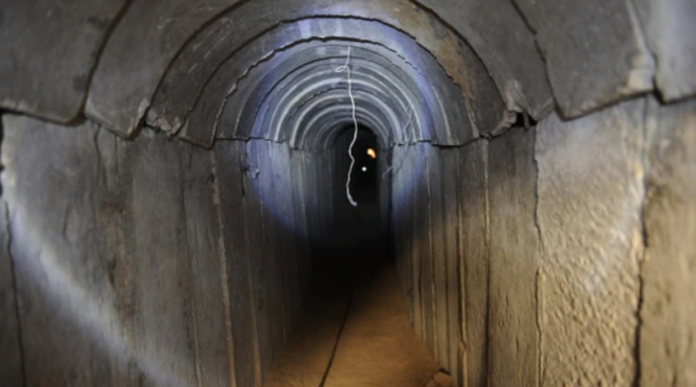 The tunnels to Egypt are often used to smuggle goods into Gaza, which smugglers use to then sell to local residents. There is a vast smuggling infrastructure that exists in Gaza as there is relatively little available legally to Gazans, as the Hamas regime uses international donor funds to line its pockets and to feed its growing military infrastructure. There are reports, albeit unconfirmed, that Egypt is using poisonous gas pumped into tunnels to kill the persons in them as part of its war against the illegal cross-border activities. Hamas has accused Egypt of such actions in the past, and these reports continue, but remain unconfirmed. However, unlike Israel, which invests countless sums of money on under and above-ground barriers, Egypt has in the past flooded and detonated tunnels, a most effective and far less expensive method of dealing with the actions of Hamas and other organizations operating in Gaza.